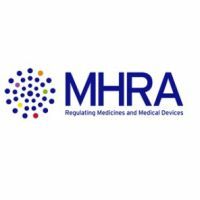 The Medicines and Healthcare Products Regulatory Agency (MHRA) is the government agency that regulates pharmaceuticals, blood establishments, advanced therapy medical products, and medical devices in the United Kingdom. Working under the Department of Health, the MHRA also incorporates the National Institute for Biological Standards and Control (NIBSC) and the Clinical Practice Research Datalink (CPRD). The agency formed following the merger in 2003 of the Medicines Control Agency (MCA) and the Medical Devices Agency (MDA), then in 2013 with the National Institute for Biological Standards and Control (NIBSC). Its activities include overseeing UK notified bodies, regulating clinical trials, monitoring compliance for medicines and medical devices, and offering technical and regulatory advice for these products. A full list of EU regulations can be found here.